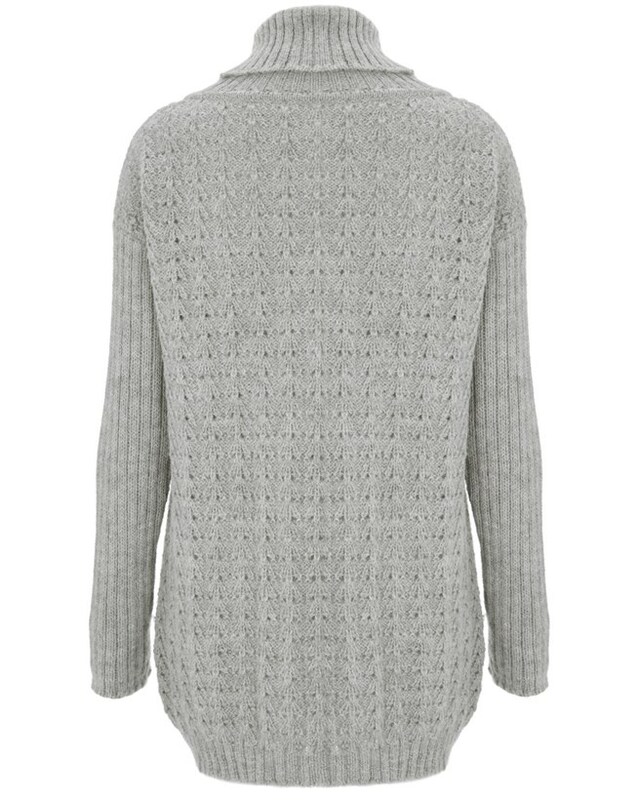 An ultra-light knit with a feminine touch. 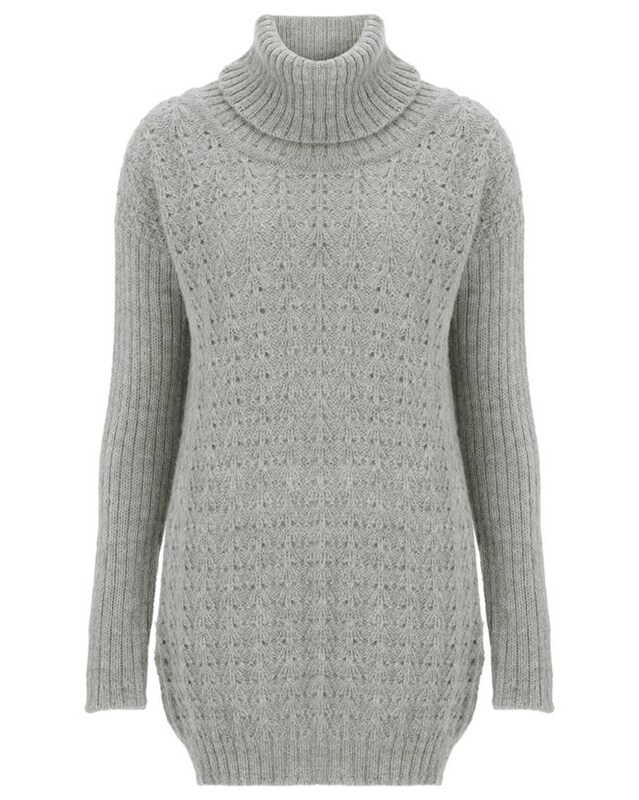 This relaxed-fit jumper has a cosy and slouchy roll neck and features all-over pointelle patterns and ribbed sleeves, neck and hem. 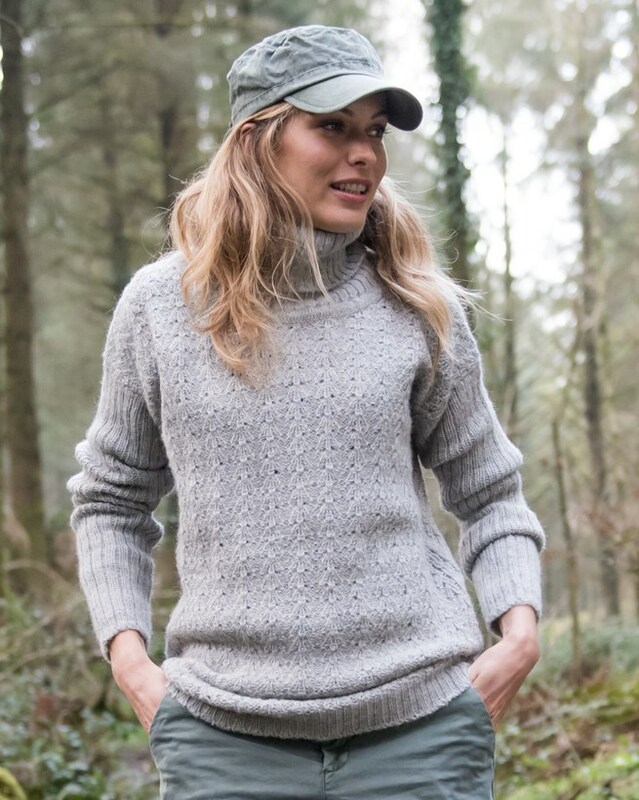 It is made here in the UK from beautiful baby alpaca wool. I ordered this in March, meant to review ever since. Lovely and soft, feels very luxurious. Really warm. My new favourite jumper! Like the detail and the not too tight roll neck. Does drop a lot of fluff in the beginning but after a few uses it settles. I had to order s10, one size smaller than usual, to get the right fit. Bought this jumper after eying it up for ages, as it is more than I usually spend on one item of clothing; however, it is worth every penny. I LOVE IT!! The baby alpaca yarn is soft and warm. The sleeves and length are both long enough for me (I'm 175 cm tall with long arms) - the jumper is great with a pair of skinny jeans or leggings as it reaches to the top of my thighs, just below the bottom, so it long! It has shed a bit of fluff, but not enough to be annoying. Wish all jumpers could be so perfect. Love, love, love this. Bought the small; am a size 8 /10, and 5 ft 3 and it fits really well. Longer than the slouch jumper but that is what I wanted; two different types of gorgeous tops. Soft, cosy and warm. Perfect roll neck. Great service too.